Regular car maintenance is essential to ensure that your car is always running safely and reliably and, as a result, here at K&M we offer complete vehicle servicing. Whether you require a part service or a full service, we will tailor a car service to your needs and perform any remedial work deemed necessary following the results. We provide a comprehensive exhaust repair service, including complete exhaust system replacements. Our professionals have experience dealing with car exhausts of all makes and models, and work appropriately according to these specifications, to ensure your car is back on the road in no time. 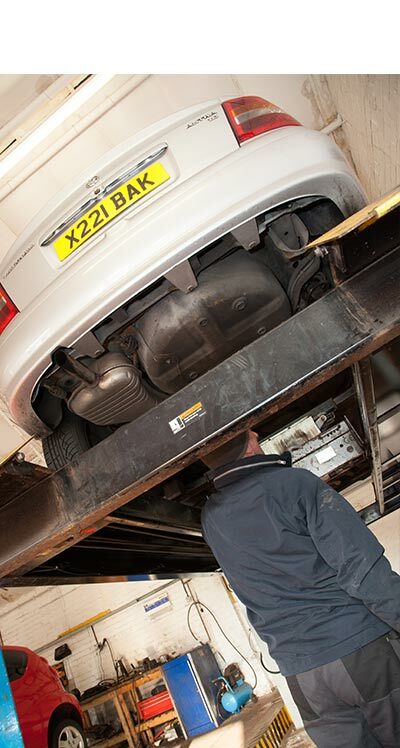 Our impressively equipped garage is situated in Bulwell, making it ideally placed to offer our full range of garage services to our customers throughout Nottingham and the wider area. Whatever the problem with your vehicle, our fully trained and highly experienced mechanics can quickly and effectively diagnose it, undertaking any remedial car repairs necessary. 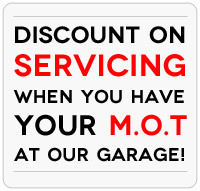 If your car requires an MOT test and you live in Bulwell or the surrounding area, look no further than the experts at K&M Autocentre. Our comprehensive service includes complete MOT testing, in which we assess every required aspect of your car to make sure it is operating legally, reliably and completely safely. We supply an extensive selection of tyres, including our branded tyres and our budget tyres. Whatever your requirements, our wide range ensures something ideal for every specification and our expert tyre fitters perform the most superior standard fitting service so you can rest assured your vehicle will perform safely and reliably.